Given as a Christmas gift to a young boy, the Velveteen Rabbit lives in the nursery with all of the other toys, waiting for the day when the Boy (as he is called) will choose him as a playmate. In time, the shy Rabbit befriends the tattered Skin Horse, the wisest resident of the nursery, who reveals the goal of all nursery toys: to be made 'real' through the love of a human. ''Real isn't how you are made, ' said the Skin Horse. 'It's a thing that happens to you. When a child loves you for a long, long time, not just to play with, but REALLY loves you, then you become Real.'' This sentimental classic-perfect for any child who's ever thought that maybe, just maybe, his or her toys have feelings-has been charming children since its first publication. 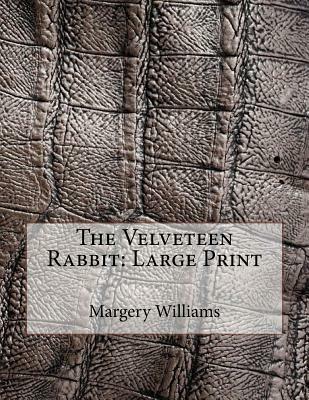 The Velveteen Rabbit is a timeless tale of friendship, love, acceptance and honesty. When the world seems uncertain, Margery Williams's classic story reminds all of us what really matters.